After seven months of preparation, it’s finally happening. 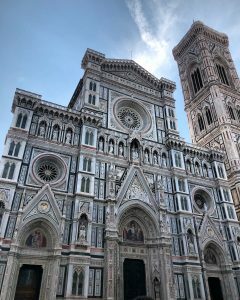 I am here, abroad, in Florence, my now home away from home. 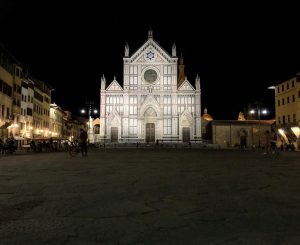 It’s absolutely surreal, living around the corner from Piazza Santa Croce and walking to class past Il Duomo. Even constantly tripping on the uneven cobblestones and narrowly dodging speedy Vespas feels special. I’ve only been here for about two and a half weeks and I already feel at home. I mean, people eat gelato at 10am; this place is obviously meant for me. The locals are not always so keen on study abroad students. As native English-speakers, we’re incredibly fortunate that so many people all over the world have taken the time to acquire a working vocabulary of our language, so there’s rarely a situation that we’re in in which we’re unable to communicate with a single person. While most shopkeepers, servers, and locals in the city center do speak English, it’s important that you put it a good effort to at least learn how to say simple things such as “hello,” “goodbye,” “I’m sorry,” and “please.” You’ll quickly learn that the locals very much appreciate your effort and will be much friendlier and may even teach you more of the language. Learning how to order food is also an extremely helpful skill to develop, because gah knows how often you’ll be doing that. 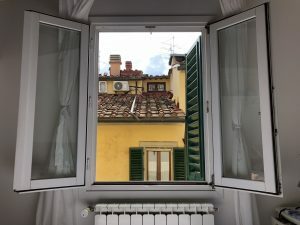 I decided to take Intensive Italian, a three-week course held every morning, Monday through Friday, which has helped me not only to learn the basics of the language but also to cultivate the confidence to then use the skills I’ve acquired. I come home and teach my roommates the vocabulary I learned that day and then we’ll practice with each other. Team up with your friends, learn (at least) key words and common phrases, and actually use them. One of the most important skills to develop in life is being open. Open to possibilities, opportunities… that is how you’ll make the memories that will mean the most to you later. I am a self-proclaimed and friend-confirmed “grandma:” I go to sleep early, read a lot, and am a generally, and quite annoyingly, responsible human – much to the chagrin of my actual grandma. But coming abroad I knew I needed to part ways with some of my persnickety habits. Sure, you may have class at 9am and an essay still to write, but when’s the next time someone will ask you to join them on a late night walk up to Piazzale Michelangelo? Or to spend the weekend visiting another country? Your homework will get done, you will sleep… Say. Yes. This is the trickiest one, not only because we’re all so used to rushing through life with our heads down, preoccupied by our minds, but the cobblestones really are surprisingly tricky… Please. Take your time. Slow down, look up, notice the intricacies of the architecture, pay attention to the colors, and appreciate the history. You are so fortunate to be living in such a beautiful city. Soak it all in. Your first few weeks abroad come with a load of challenges. You may feel homesick, you may feel lonely, you may feel overwhelmed by the city or frustrated the language barrier… Just keep trying. It will all be worth it and you’ll learn so much. Studying abroad is not a piece of cake, but it’s much more rewarding than eating one. 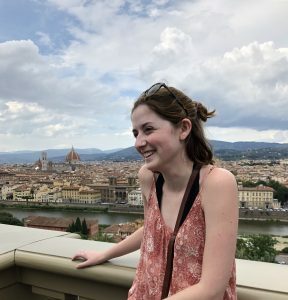 Daisy is a fall 2018 SAI Florence student from George Washington University. Marvelous overview and of course got a giggle out of the “Grandma” reference. Truth!!! Gorgeous photos. 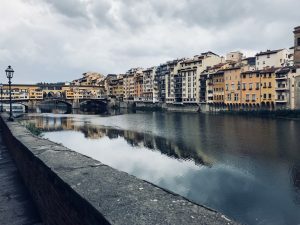 Im going on study abroad in the spring to Florence Italy. I was wondering if i could keep in touch with you because your doing what i soon will be doing. I think it would be neat to know fun places that i cant always find on the internet.